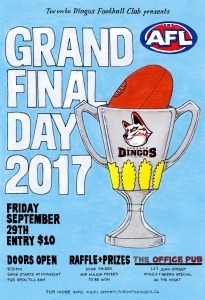 The match will be broadcast on televisions throughout the bar, in what is once again sure to be the best AFL Grand Final Party in Toronto. Last year more than 300 football fans joined us to watch the game and we expect similar numbers this year. 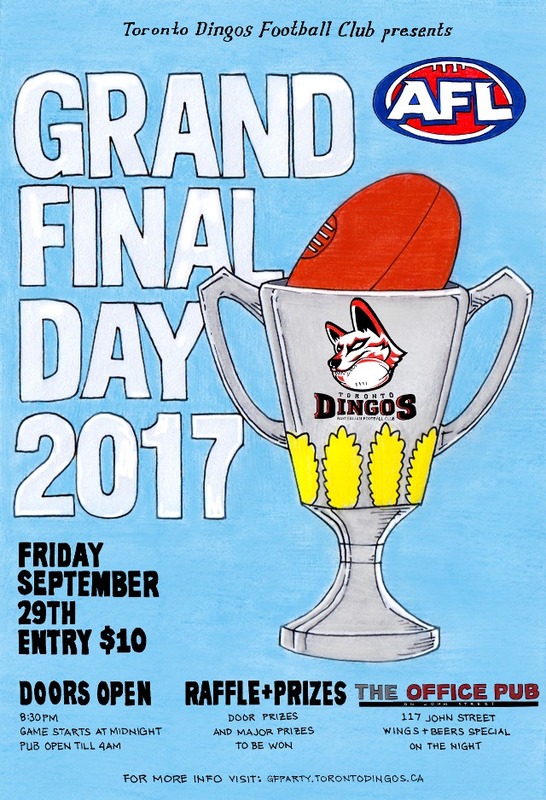 As always we'll be giving away some great door prizes, hosting a raffle, as well as organizing various other games and contests (First Goal, Norm Smith Medal, First Behind, etc.) throughout the night. To RSVP and receive updates about the event head to our Facebook event page. Entry: $10 at the door.